Whether you manage your own accounting books with a small salon business accounting software, or you have hired a professional salon bookkeeper to help, you will find that managing your books will help play a major role in the success of your salon business. Even though the salon business is a little different in how it is run, the bookkeeping doesn’t need to be such a challenge. You will mostly receive income for services, products, booth rentals, and even commissions. Along with this might include a lease, payroll, products, equipment, insurance and other license fees. Your salon business will require some of the bookkeeping methods to help you keep your revenue and expenses straight. Probably the best advice I ever got in my life was from the head of the accounting department, Mr. Hutchinson, I believe at the Glidden Company in Chicago, and he told me, ‘You really aren’t cut out for accounting. You sell to your clients your services and products, so you need meticulous records to keep up with it all. If you deal with any receipts, you will want to use some sort of binder to track them and divide it into months. Then use it to keep bank statements, receipts, and deposit slips. 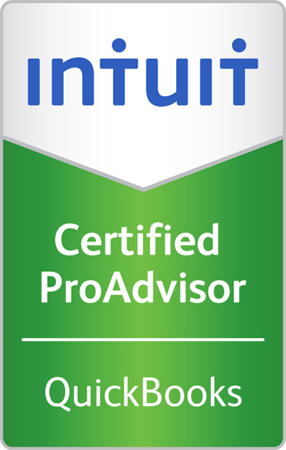 This will provide easy referencing and will protect you in the case of an audit. So you will want to use your business checks or your business debit card to make purchases. Always remember to save your receipts and deposits correctly. Good bookkeeping for salon owners involves tracking expenses. A salon business with inventory is normally required to report under the accrual method. However, there are a few exceptions to this rule. Inventory as items purchased with the intent to resell, like shampoos, brushes, and other salon products you might sell in your salon & spa business. If your salon fits under a certain annual gross income, and most small salons fit in this group, then you can elect to choose a much simpler cash basis method to account for your inventory. Simplicity is the main reason Salon & Spa owners want to choose this cash based method. Setting up and using the accrual method proves to be much more complex to manage for small salon owners. But if you’re managing a larger inventory in your salon, then we recommend an accrual method of accounting for your salon. For most small cosmetology, hair, tanning, beauty and other salon & spa owners who are not inventorying heavy, the cash basis will prove to work best in most cases. Think about all the services your business offers, products your business sells, and even how many stylists might work in your salon. Setup any products you will sell. You will need to setup your business, corporation, tax information, and employees to get started. Go over your accounts monthly, and track receipts, deposits, and bank statements to your folders. This would be a good time to consider using proven Beauty Salon & Spa accounting software. Salon & Spas are cash-intensive businesses. Features you might need in your accounting software include payroll, inventory, commissions, invoicing, payments and reports. Salon & Spa owners are no different when it comes to needing help. If you are not interested in struggling with all the setup and management of the software, look into hiring an online salon & spa bookkeeping expert to come help you. Rather than struggling with this, make accounting easier by hiring a bookkeeper or investing in salon business management software. These tools can help you track your expenses, and generate invoices. This will help you implement bookkeeping practices for your salon business. Also, don’t be like other salon owners, and wait until the end of the tax year to get their financials organized. Waiting until the end of the year can also result in more errors so be careful about being too hurried. 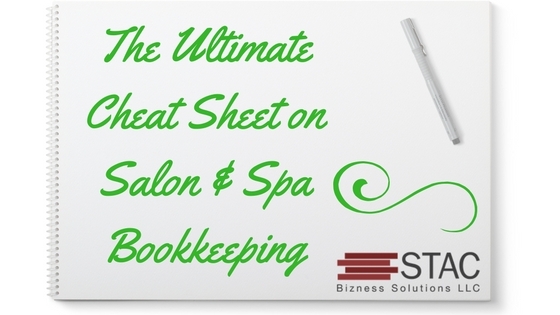 If you follow these simple bookkeeping guidelines for salon & spa business, your year-end tasks will be less daunting. You will be better prepared to meet your salon business financial obligations. Your main goal is to get clients to come in so you can, in turn, provide them with a great experience, so make sure to use technology to help you. So, let STAC Bizness Solutions help you with your Salon Bookkeeping.